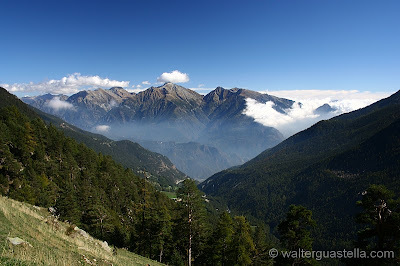 The recipe for Fontina Val d'Aosta is rumored to have been revealed to the early inhabitants of the Val d'Aosta by a near-mythical man called Sarvadzo. He taught them to make this unpasteurized, full-fat cheese, matured in grottos for at least three months. Its taste reflects its origins in the high, Alpine slopes - it is actually an Italian cousin to the French Gruyère. 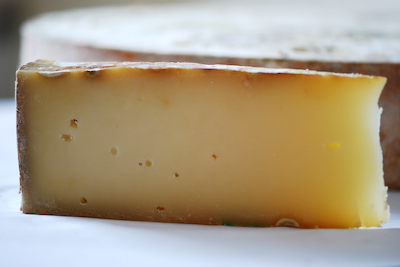 Fontina is dense, smooth and slightly elastic. The straw-colored interior with its small round holes has a delicate nuttiness with a hint of mild honey. When melted, as it frequently is, the flavor is earthy, woody, with a taste of mushrooms and a fresh acidity. It pairs exceedingly well with roast meats and truffles. This cheese also pairs well with a burly red wine - try a Barolo from Piemonte to the south, or a Zweigelt from Austria to the northeast. Fontina is the primary ingredient of Italian fonduta and is a pristine table or dessert cheese. 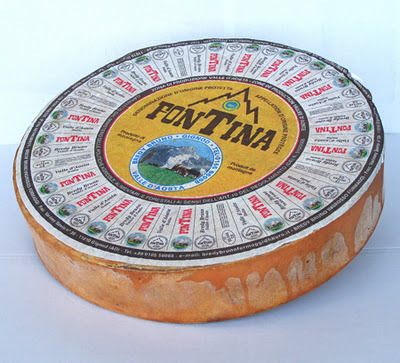 Fontina gained DOP status on June 12th 1996. The mark of this celebrated mountain cheese features the outline of the Matterhorn. Ripens in about three months.